UPDATED: Additional assessments for syllables and concepts about print have been added to help educators determine what students know and how to plan instruction. Concept sorts extend vocabulary and conceptual thinking, and teach students the process of sorting using familiar objects and ideas. Sound sorts facilitate the systematic study of beginning consonants through explicit instruction. Activities teach phonemic awareness, rhyming, syllabication, and sound play. ENHANCED: More syllable sorts are included in this edition. REVISED: Updated rhyme sorts are now based on current literature. UPDATED: Revised font sorts contrast letters that frequently confuse emergent spellers. 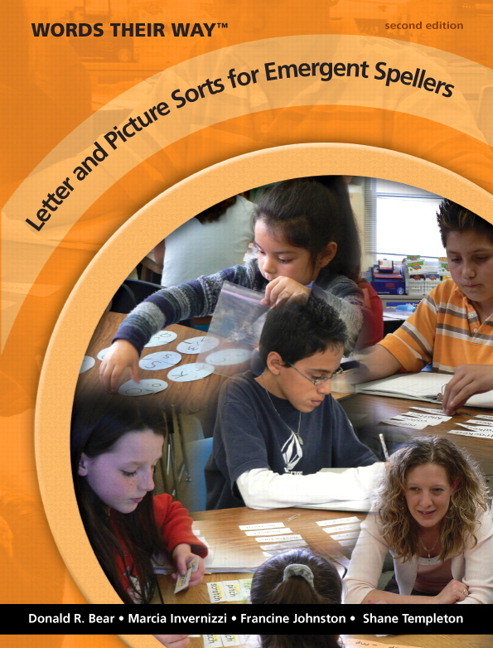 UPDATED: Revised letter pages with additional pictures and fonts help young spellers visualize the information presented. 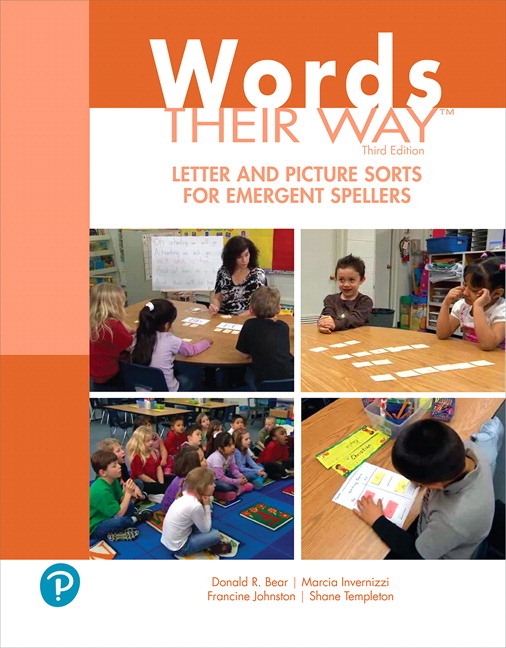 Instructional units combine phonological and print awareness, alphabet instruction, and concept of word in text. A whole-to-part integrated lesson plan begins with text and works down to the smallest elements of letters and sounds. UPDATED: Step-by-step directions for how to introduce the sort, as well as additional teaching tips, are included in each lesson. Suggestions for English learners clarify how to provide accommodations and differentiated instruction based on students’ language diversity. Notes for the Teacher are found in each unit and provide background information, learning targets, and teaching tips. REVISED: Reorganized chapters make it easier to find reading selections. Additional assessments for syllables and concepts about print have been added to help educators determine what students know and how to plan instruction. More syllable sorts are included in this edition. Updated rhyme sorts are now based on current literature. Revised font sorts contrast letters that frequently confuse emergent spellers. Revised letter pages with additional pictures and fonts help young spellers visualize the information presented. Enhanced step-by-step directions for how to introduce the sort, as well as additional teaching tips, are included in each lesson. Reorganized chapters make it easier to find reading selections.